VisTech.Projects: [iOS] Spotlight on Picture - simple tool for highlighting details on photos and sharing your notes quickly. 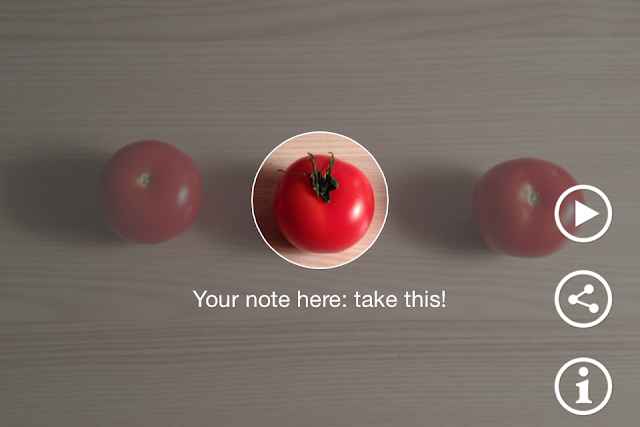 [iOS] Spotlight on Picture - simple tool for highlighting details on photos and sharing your notes quickly. New app for iPhone and iPad Spotlight on Picture is available in the App Store. It's a simple tool for taking a picture with highlighting and focusing on specific details. You can quickly add a note to the picture and share it from the app with one touch.